I woke up this morning not only feeling better physically, but mentally as well. It's like my mind finally cleared itself of the fog it's been wrapped in for almost two weeks. Man oh man, I hope I don't get that sick for another decade or two. I'm so thankful this flu bypassed Don and the kids. I felt so good this morning, in fact, that I went out and did my usual barn chores, specifically telling Don to sleep in for once. It took me almost twice as long as usual - and I skipped cleaning Matilda's pen until the afternoon because I was too wiped out - but I did them. Got treated to a pretty sunrise for my efforts. Nebuchadnezzar, who managed to hop the fence yesterday evening, somehow got a loop of hay bale twine over him. Fortunately it was a simple matter to cut the twine. Any physical labor tuckers me out, but as Don points out, effectively I haven't eaten anything but yogurt since last Sunday night. I just have no energy reserves left. On the plus side, I managed to lose ten pounds. Don says I should write another book, this one called "The Yogurt-and-Influenza Diet," but I told him I wouldn't wish that on my worse enemies. On a brighter note, a couple of milestones I wanted to point out: My Google followers are now at 375!! I gotta admit, I'm a hopeless number-watcher, so these statistics please me immensely. A couple of random things I wanted to clear up. Last week a reader inquired as to why I had banished her from posting comments on the blog. Had she offended me, she wanted to know? Of course not. I reassured her that this blogger program won't let me banish anyone, even if I wanted to, and certainly I had no reason to banish her. However she isn't the first reader to ask. What it comes down to, I believe, is your browser. If you suddenly find yourself unable to post a comment, it could be because you've either changed browsers or changed the settings on your browser. I'm not tech-savvy enough to suggest anything beyond that, but please be assured I don't (because I can't) banish anyone from posting. Ah now comments, that's a different issue. While Don was moderating all comments during my absence with the flu, he told me he deleted a couple for very specific reasons I'll get into. Please understand we cannot edit your comments from our end. If you drop in a bad word, we'll delete the comment even though it's otherwise interesting, simply because we're trying to keep a family-friendly blog here. • Racist language. Another post came in which expressed an opinion using some derogatory terms easily interpreted as racist. I'm sure everyone understands we are not racist and prefer not to have such expressions on the comment archive. • Language suggesting violence. Yes, there are times I'd like to set fire to some people, but I can get into a boat-load of trouble for "encouraging" or "inciting" such feelings by posting comments to that effect. So if you're suggesting a violent solution, don't be surprised to find your comment deleted. I have no way of knowing how many government goons are trolling this blog, and any hint of violence could be seriously misinterpreted. Savvy? • Dirty jokes or links. In response to a post, a dear reader sent a link to a dirty website as something of a joke. I immediately deleted it. My kids read this blog and they sure as heck didn't need to follow that link. I know this reader's email address, so I sent him a note explaining my reasoning. He apologized for the momentary lapse in judgment and all is well, but it serves as a warning for future comments. • Personal attacks. Oh my goodness, there have been times I've come thiiiiis close to deleteing comments from some readers who start slinging personal attacks directed at other readers. I tend to be a little more lenient with these comments, but only up to a point. I welcome politely-expressed opinions from all ends of the political spectrum and would rather not have those opinions attacked. Polite disagreement is fine, attacks are not. Phew. Hope this covers the basics! Glad to have you back. Don did a great job in your absence. It's great to have a backup like him. Please forgive my off-topic post, but I wanted to make you aware of something disturbing to my wife and I. We're in the market for a water filter that is larger than the "Pur" jug we keep in our fridge. Your "Big Berkey" fits the bill perfectly for us and we're going to be getting one. Here's the rub. It is illegal for them to sell to California residents. It's not Berkey's fault. I stand behind their decision 100 percent. The problem is that California has a confusing and expensive testing program for no-lead certification. Not only that, but if the company changes models or suppliers they have to get permission from California, and retest ... more time, effort and expense. I want to point out in big letters BIG BERKEY DOES NOT HAVE LEAD IN THEIR PRODUCT! In fact, their filter removes lead! This is a typical California anti-business issue. Well, long story short, we're going to get one anyway through someone out of state. That involves extra shipping charges. But, oh well. Until we move into one of the free states we're stuck with idiocy like that. Just thought you'd want to know that Berkey can't sell its products to 1/10th of the U.S. population. Oh my gosh...I fixed it all by myself. I can post now! Yeah! Welcome back Patrice. So glad the brain fog has finally cleared and you are well again! Congratulations on the increase in your blog followers! I chuckled when I read the comment about government goons. Back in the 70's I went to a couple meetings on the money/silver issue. While there one guy approached us and asked if we wanted to buy some military issue weapons. Not. Always wonder if that was a setup. Another time we went to state court to watch someone argue the money issue in paying state fees. The case was deliberately held over past the 5 pm. office closing so our cars were the only ones in the lot. When someone left early they found a state treasury agent taking down license plate numbers. He was going to do an audit on those in attendance. So it is always a good idea to stay non-violent. Besides there's already enough crazies out there. So glad you are back among the living! I have had the same kind of serious 1-2 week flu in the past which knocks out the body and the brain and I have vowed to try and keep any further illnesses at bay. I wish the same for you! Anyway, I wanted to opine about the posting issue. 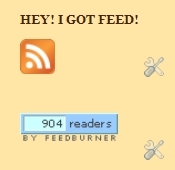 I find that when I want to inflict my $0.02 on all of your readers that I have to click on the Post Comment and/or the Preview button at least twice before I get the magical message that says my post succeeded and would be posted after it was reviewed. Blog issue, probably. 50-50 road. Sometimes it's 30-70 and sometimes it's 70-30. The most important part is that we work together thru good times and bad. I would not exchange my life for anyone. Like you, I am truly blessed with a great family! Patrice, good to know you are feeling much better. Isn't it odd that this very bad flu bug has been ingored by the government and the media yet last winter they made it seem as if the world would end if we didn't get flu shots for H1N1? Go figure. Well, I have to admit I've been guilty of some bad behavior and I apologize to you and to the object of my derision. Having said that, though, if the sarcasm against gunowners, Christians and Americans returns, I may have to temporarily leave until she toddles off to whereever she goes for weeks or months at a time. I presume she gets her cloven hooves polished, her tail shampooed, and her horns waxed while away. Uh oh, was that another personal attack?